Best Dude Forever Status: Achieved. My Love Story continues to gleefully ignore rom-com genre conventions, and I couldn’t be happier. A “Beauty and the Beast” style tale about a girl gradually coming to love someone for their “inner beauty”? Nah, screw that—Yamato thought Takeo was awesome from the start! A messy love triangle among friends? Been there, done that, and this show ain’t sellin’ those T-shirts. A long, drawn-out “will they won’t they” dance between Oblivious-san and Shy-kun? No, thank you, ma’am, we’ll just approach this relationship head-on, if you don’t mind. Well, okay. OreMono does adhere to conventions in one way: It is ridiculously, unreasonably, and overwhelmingly adorable. 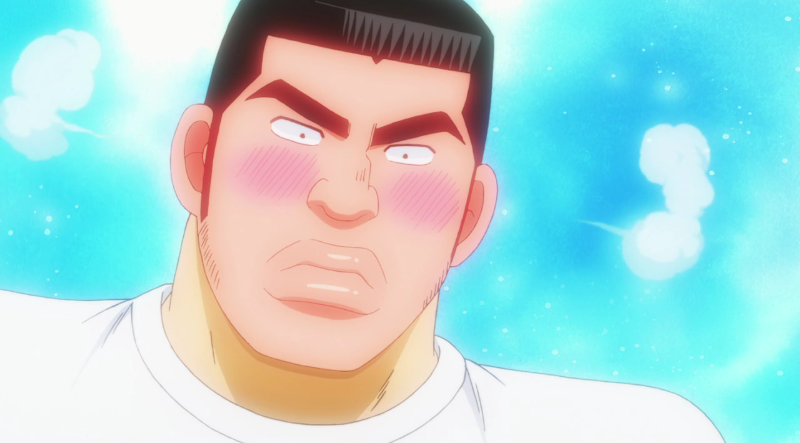 This week sees us wrapping up our two introductory story arcs: The Courtship of Gouda Takeo, and The Bromance of the Two Ogres. First we’ve got our sweet, stupid hero, who true to his word goes on his date with Yamato and proceeds to do nothing but talk about how Suna is the coolest thing since Blood Blockade Battlefront (and that’s pretty darn cool, doncha know!). “You can’t do much about how people feel, but… I’m a man,” he thinks. 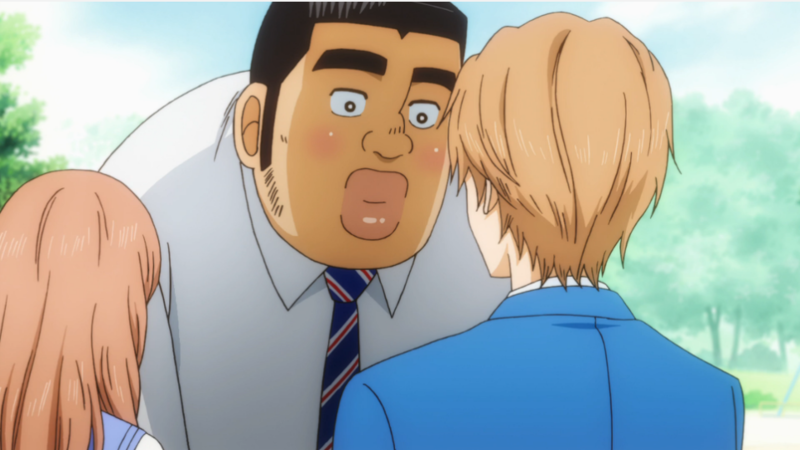 “I won’t make you feel uncomfortable by confessing my feelings to you!” Takeo is full of these gender essentialist statements, which is maybe the only thing about his character that annoys me, but I understand it both culturally (the concept of strict gender roles is a lot more prominent in Japan than it is in, say, the U.S.) and personally, since Takeo hasn’t spent much time around girls. As a result, he sees his ideals (such as loyalty or self-sacrifice) as “manly” virtues, when really they’re just the marks of a decent human being. NO, IT OKAY, DON’T BE CRY. 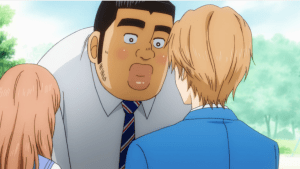 When Takeo storms over to Suna’s house, demanding to know what he did to upset Yamato, Suna finally cuts through the rom-com nonsense and tells him the truth: That Yamato thinks Takeo is the coolest thing since BBB, not Suna. 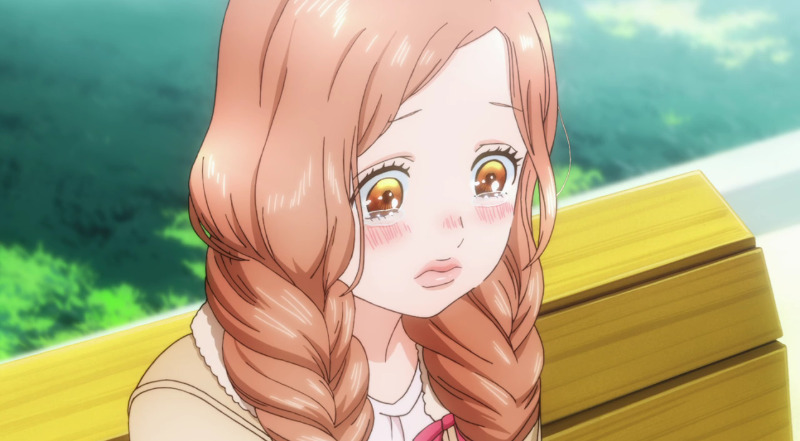 And Suna’s not interested in her, either—he said she was nice because she’s the first girl Takeo’s liked who wasn’t a total jerk to him behind his back. Since this seems to be my sub-topic this post, it’s worth noting that although the subs translate it to “nice girl,” Suna actually refers to Yamato by the gender-neutral ii ko (いい子; more literally “good/nice kid”), suggesting that he holds everyone to roughly the same standard and doesn’t operate in the same binaries as Takeo. I bring all this up only because, as I’ve noted before, I do think OreMono is attempting to make some quiet statements about gender roles/assumptions, so it’s worth examining how each character approaches these concepts, too. Oh, but back to those Mean Girls: Suna knew they were two-faced, which is why he always turned them down. 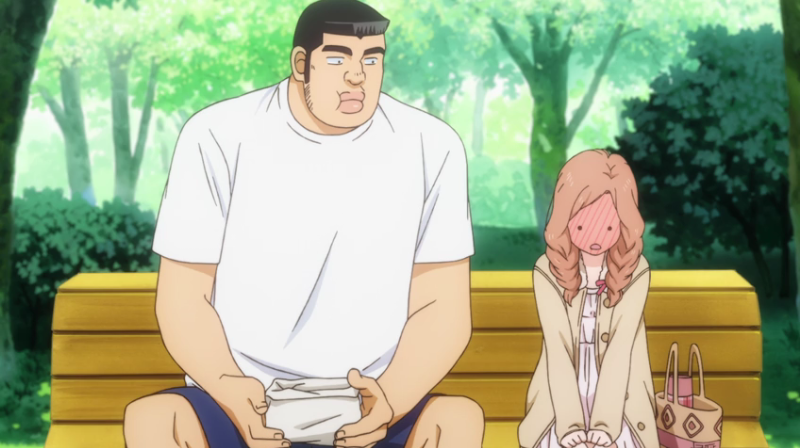 “Who’d want to date girls that talk smack about your friends?” he says, to which Takeo responds by tearfully apologizing for all those mean things he said about Suna’s bits, and by renewing their bond as BFFs. Takeo’s been ignored by his crushes for so long that he still doesn’t really buy it, so fate does him a solid by having Yamato show up at Suna’s house, ready to sing him her troubles, too. Takeo hides (hilariously but not very successfully) under the bed while Yamato asks Suna for romantic advice. 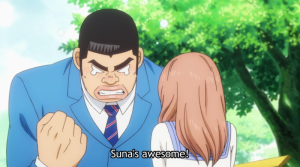 Continuing to prove himself not just Best Dude Forever but also world-class deus ex machina, Suna gets Yamato to confess loudly, specifically, and repeatedly while pretty much sitting on top of Takeo. And only then, then, does he finally emerge and confess his feelings to her, too! And it is SO CUTE that I had to invent a word to explain exactly how cute it is. 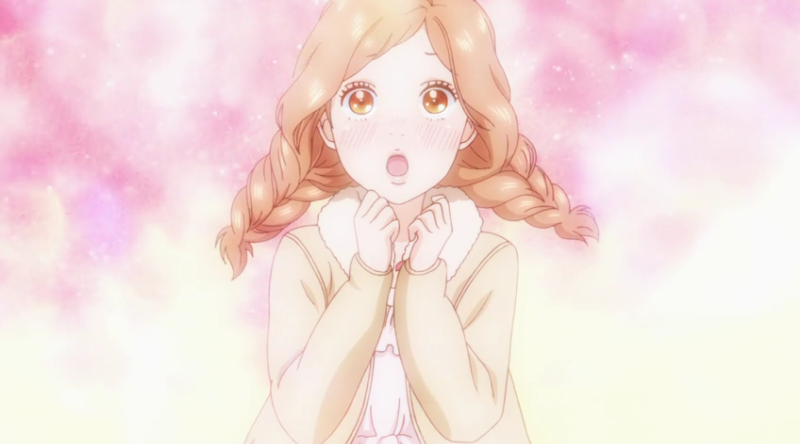 We need a new word for what #OreMonogatari did to anitwitter this week. Adorabludgeoned. We have all been adorabludgeoned. 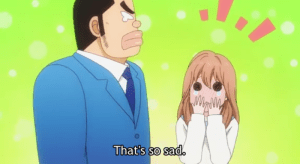 It’s a tale of sacrifice in the name of friendship, and while Suna thinks it’s just something anyone would do for their buddy, Yamato and Takeo (and we at home) know better. Wait, what? There are 21 episodes left? But everyone knows all relationships stop once the couple gets together! I mean, what else could the series possibly talk about? All kidding aside, this is one of the better developments I’ve seen in an anime rom-com, giving an already good, unique series the potential to be even better. Stories about healthy relationships are ones we rarely see in media, and in high school rom-coms it’s practically nonexistent. I’d be lying if I said I wasn’t a little concerned about where the story goes from here—there are plenty of character beats and conflicts that can come out of a steady relationship, but few series manage to pull it off without the drama feeling dull or manufactured (or turning the relationship into a dysfunctional mess, and I definitely don’t want that). Even so, OreMono has so far proven itself more than capable of spinning a narrative that charms, amuses, and surprises in equal turns, so I have confidence it can keep that up in the next arc, too. Just to prove itself up for the task, our episode preview comes from Yamato’s perspective, right down to the chapter title, “My Boyfriend.” While I’ve been pretty vocal in how I think the series has already done a solid job making Yamato a well-developed character, she’s probably the least explored of the main trio at this point, so seeing things from her perspective can only enhance the narrative. 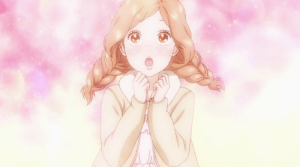 I’m excited to learn more about her and see where her relationship with Takeo goes from here. And, of course, I look forward to further Cute Overloads melting me into tiny, gibbering puddles along the way. That’s pretty much a guarantee at this point, I figure.